I know you. You ignore your LinkedIn profile. When was the last time you looked at it? REALLY looked at it? LinkedIn brings more traffic to my website when I pay even the minimum attention to it than any other Social Media site I hang out on. For some reason, when LinkedIn started to become popular, it was thought to be an exclusive place to only connect with people you really know. I can’t imagine why that is! Yes, it’s personal. Your LinkedIn profile is about YOU, not necessarily about your biz. It’s about you and all of your Rockstar talents, a place to share all of your personal accomplishments. It’s business oriented though! Why are we connecting with crazy people on Facebook, but locking down our LinkedIn profiles? I don’t get it. OK now that your profile is visible, it’s time to get rid of the shame. It doesn’t take much, really. You need a businessy picture of yourself. No kids, no pets. A headshot of sorts. Make sure you connect Twitter if you use it. Currently, there is no direct Facebook integration. Plump it up! Talk about yourself like you’re talking to me. That’s it! That should make you confident enough to start to share it. Now, it’s time to start connecting. The more connections you have, the better LinkedIn will work for you. You’ll be searchable by everyone connected to you and THEIR connections, so the more connections, the better chance you have of coming up in a search. Groups are a great way to increase connections. Join groups relevant to your industry or your interests, and be active in the groups. Ask questions, answer questions. Start your OWN group! You’ll see a pop in your number of connections pretty quickly. If you’re not paying attention to your LinkedIn page, you’re losing business opportunities. It’s free to use, so use it wisely and leverage off of the exponential growth! 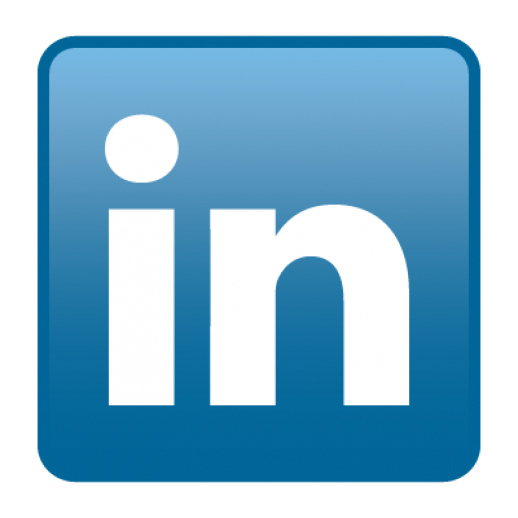 LinkedIn gives you a warm contact, for potential sales, jobs, or partnerships. When you meet someone that you want to stay connected to, sometimes it’s just plain creepy to send them a Facebook invite. LinkedIn, not so. It’s perfectly acceptable to request a LinkedIn connection to people you meet at trade shows, after sales calls, after connecting at your kids soccer game. AND, now you have a way to keep in touch that isn’t intrusive or pushy. Here’s the hard part. We sometimes have a hard time showing off our Rockstar talents and abilities. LinkedIn is not the place for modesty, it’s the place to claim your expert status, loud and proud. If you need someone to help with that, I’m happy to be of service. Set up a free Business Boost call and we’ll jump start your profile together. If you want a quick review with tips for YOUR LinkedIn profile, connect with me and comment below with a link to your profile. I’ll give you some feedback on my initial impressions for a quick boost to your profile. I’m looking forward to our connection! Great suggestions Karen!! When Googling my name LI comes up first or second so it’s definitely important, and my connections sure have proved valuable. Same here Linda! So lets make that google entry worth a view, right? Busted! My head hangs in shame over my LinkedIn activity. When I set up my account I filled out all of the suggested areas, made connections, joined groups… but I still don’t really know what to DO with it. Facebook is my comfort zone. I get Twitter. I love Pinterest, but I visit my LinkedIn account only when I get notifications of new connections. I read other people’s links and documents but how do I start contributing to the conversation? Is there a protocol of what sorts of content makes sense there? Maybe this could be your next blog post? I’m appreciative & aiming for shame-free. You can post to LinkedIn the same way you post to Facebook, you can even “tag” someone. You can post links to your blogs. Groups are very active in LinkedIn, that’s a great way to join the conversation! I agree, linkedin is a great tool. I guess I’m just like many others and a bit afraid to personalise it too much, so it’s safe but boring… What do you think? Andrea work on your keywords! For you, I would beef up your “headline” I don’t know what a Lean Project Manager is, but you would want to put something there that you think your ideal clients would be searching for. Nice timing! I JUST got my linkedIn profile together. You are right, it should be more of a priority. Awesome! You’ll be pleasantly surprised by your Google Analytic numbers when you start spending time there. 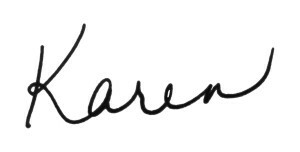 Hey Karen, I really appreciate this post, it’s so clear and well-written, and yes, I have total LinkedIn shame! LinkedIn is something I’ve totally avoided, and now you’ve got me wondering if I’ve been pushing away connections & business! I wonder if you have any system or tips for how to balance the huge array of different social medias without feeling overwhelmed with it all? I’ve stuck with FB because it feels manageable, but expanding into other areas makes me nervous as I have so much to do already! Any strategies that you use would be greatly appreciated! 30 minutes twice a week feels do-able. And scheduling it in is oh-so-wise. This is totally helpful – thanks so much. April I just saw this! Your profile is awesome. The only feedback I have is that I would add your travel video, or any other videos you have, to your LinkedIn profile as media! It would be a great way to strut your stuff. I’m definitely guilty of neglecting my LinkedIn profile to focus more on Twitter/Facebook/etc.. But the information you’ve provided is going to help me “shake the shame”. Thank you! I’ve sent you a request to connect on LinkedIn. Great! I’m looking forward to getting to know you. say thanks once again for your personal exceptional solutions you have provided on this page. would you mind checking my linkedin profile. I am a real newbie there. Thank you for all your help that you give so often, I try to read as much of it as I can. Question: why get rid of the “[email protected]”? ?